Hanalei Bay Resort on the north shore of Kauai is as beautiful as it is tranquil and provides photographers with an endless supply of subjects. 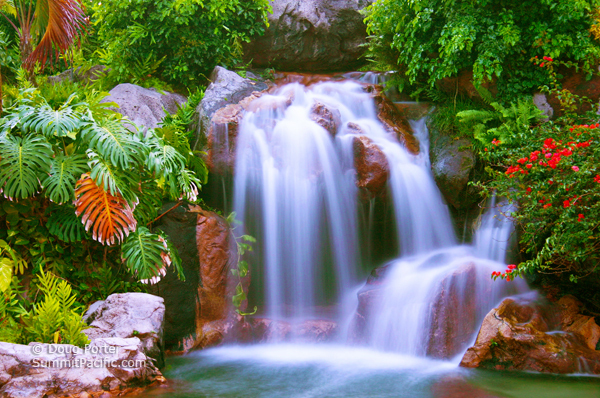 This picture is one of the waterfalls found on the property. More information on the resort can be found at: Hanalei Bay Resort.